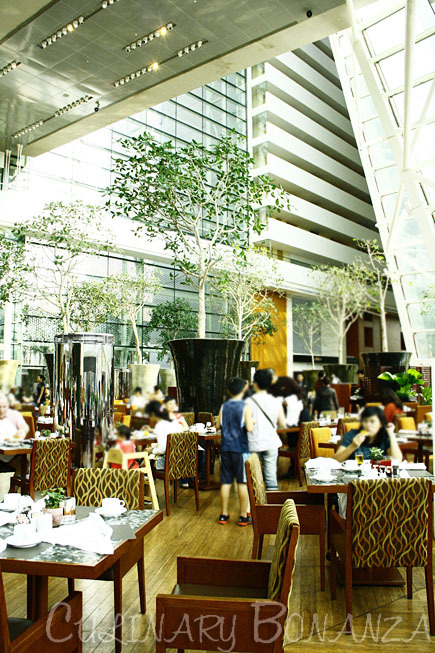 I had never seen a buffet breakfast at 5 star hotel this busy and crowded before! It was just 9.30 AM when I came down and much to my surprise, I found a long queue at the entrance! These people are actually like me, hotel guests staying at Marina Bay Sands. It didn't seem like they were getting to their tables anytime soon, but lucky me, I cut the queue with just flashing my "special" tag. I felt guilty...sort of. But I was in a rush anyway, as I had to grab my food quickly, before we're supposed to meet for the first activity of the day (will elaborate that next activity in the next post). 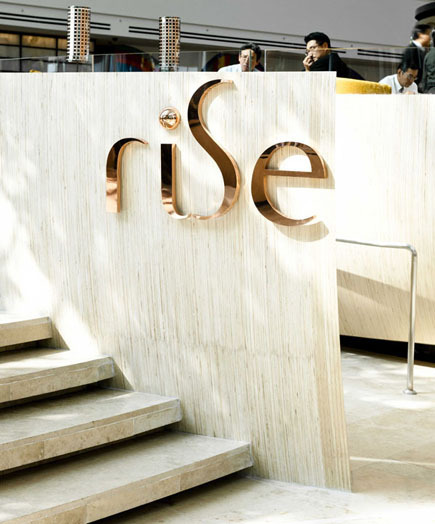 It's a no wonder why Rise Restaurant was so packed, considering the smorgasbord of food and beverages available there. 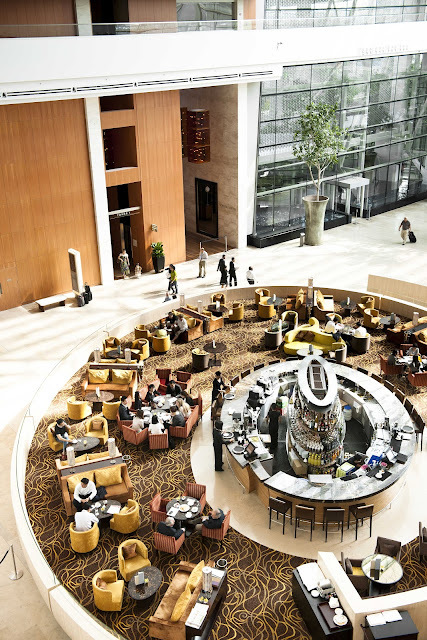 The breakfast buffet features pretty standard offering like sushi and sashimi bar, a Tandoori station, risotto and fresh seafood, but the variety is wide. I like the freshly brewed coffee, but what got me crazy was the bread & butter pudding from the bakery station. I even returned for (a generous) second helping, something I don't normally do when eating buffet. Despite the hectic situation at Rise Restaurant, the crews handled the pressure well! 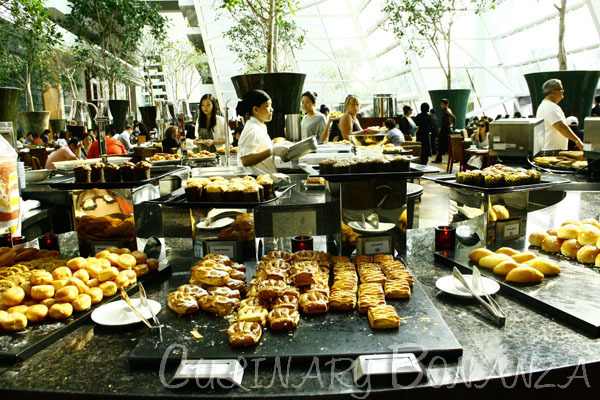 My friend was impressed with how the chefs behind the eggs station were flooded with orders from the hungry guests, yet still remained calm and delivered each orders impeccably! I personally will try to avoid busy times, in other words, I'll come down early for breakfast. It's not fun having to eat in a rush or to squeeze with so many people or wait for ages to get your orders. Sorry for the lack of images of the food! The place was so busy, it would seem rude to make others wait while I snap photos of the food.